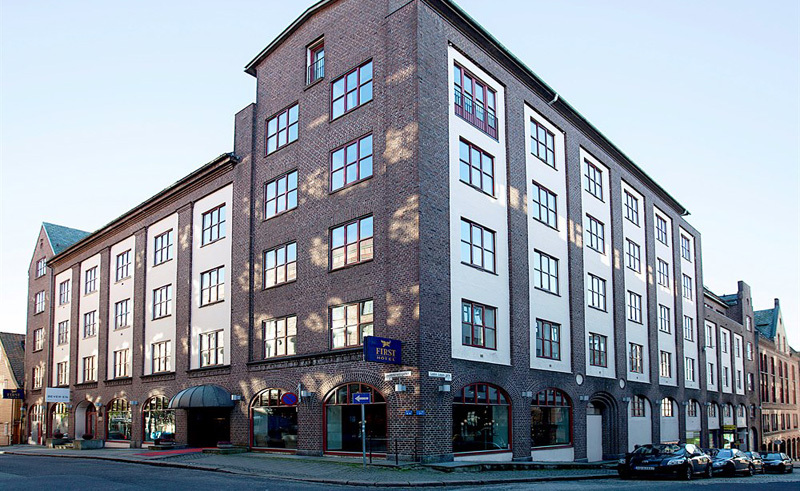 A classic hotel situated in Bergen’s city centre, the First Hotel Marin offers 152 rooms in the unique and famous Bryggen. A UNESCO World Heritage Site, this area of the city was of key importance to the Hanseatic League and functioned as a trading centre from the 14th century on. Many of the city’s ferry terminals are less than 15 minutes by foot, while the world-renowned Fish Market and Floibanen funicular are within three minutes of the hotel. The rooms range from standard to suites and are all of high-quality, making a stay here the perfect base for exploring the city. Each room includes satellite TV and minibar, as well as street, courtyard, mountain or harbour views. The in-house restaurant and bar serves cod alongside other Norwegian and international classics and has something for almost every taste. The hotel also includes a gym and sauna.